Why has housing supply not kept up with housing demand? 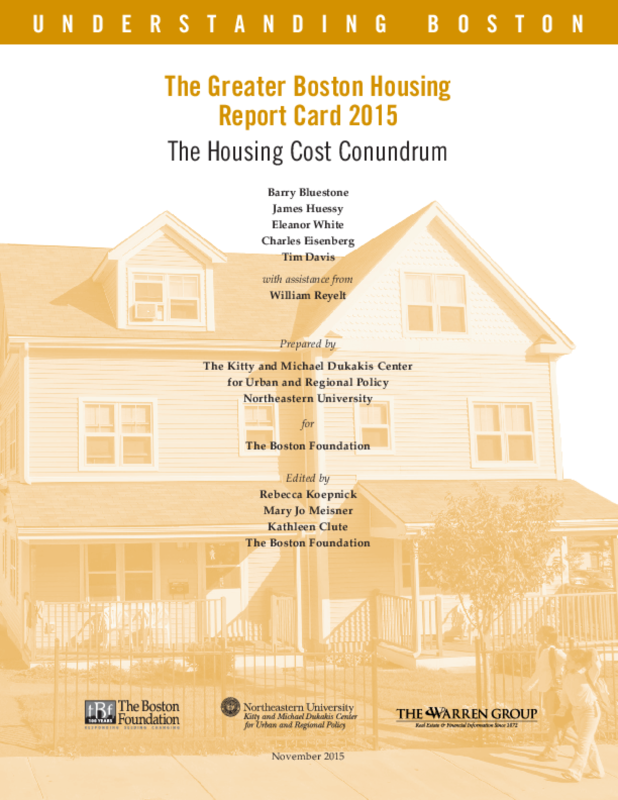 This is the question we decided to finally tackle head-on in this edition of the "Greater Boston Housing Report Card" by undertaking an in-depth study of detailed housing cost data that we have collected from housing agencies and developers. The answer to our question is an unsettling one. We have failed to meet housing production targets because there is no way to do so given the high cost of producing housing for working and middle-income households. In part, this is because of the extreme barriers to new construction, especially in the form of severely restrictive zoning at the local level across much of Massachusetts. Solving this problem of insufficient housing supply will require a battery of new approaches to zoning and construction techniques -- something that has eluded developers and policymakers alike. We suggest in these pages some new approaches to increase housing supply. Copyright 2015 Kitty and Michael Dukakis Center for Urban and Regional Policy at Northeastern University, Northeastern University, The Boston Foundation, The Warren Group.